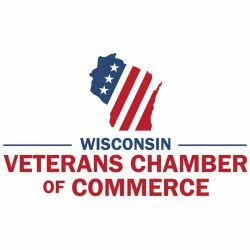 Associated Bank has partnered with the Wisconsin Veterans Chamber of Commerce (WVCC) in Milwaukee to assist in the advancement of economic opportunities for veterans in Wisconsin and raise awareness of Associated Bank as an employer of choice for veterans. The mission of WVCC is to provide support and advocacy to veterans and veteran-friendly entrepreneurs and business leaders in the region. They also partner with employers to attract and retain veteran employees. Through this partnership, Associated Bank will play an active role in sponsoring and supporting veteran events hosted by the WVCC. To kick off the partnership, Associated Bank sponsored a WVCC veterans young professionals networking event on February 28. Nationally recognized LinkedIn Consultant Wayne Breitbarth shared LinkedIn tactics to help veterans advance in their career, grow their network and support other veterans in the region. Michael Moran, relationship manager – Corporate Banking and U.S. Army Veteran, helped establish the WVCC in 2015 and currently serves as board president. His connection to the chamber helped flourish Associated Bank’s relationship. “We have seen significant growth in our membership over the last three years and we are excited to host over 40 events catered to the needs of our members,” said Moran. In addition, Associated Bank is further supporting veterans through its sponsorship of a new exhibit on display at the Wisconsin Veterans Museum is Madison, Wis. The exhibit features artwork of Harold F. Schmitz, a Milwaukee native, and his drawings completed while serving in the South Pacific during World War II. For more information on the exhibit, visit www.WisVetsMuseum.com.